Are there piles of paper on your desk? Is your kitchen counter covered with mail and bills? Can’t find the invitation to an upcoming party? Missing your child’s permission slip for a class trip? Afraid to file papers because ‘out of sight out of mind’? Waste a lot of time trying to find important papers? IF YOU ANSWERED YES TO ANY OF THE ABOVE QUESTIONS, GET READY FOR A TREAT. I totally understand what you’re going through. And a lot of times the paper clutter in your home, on your desk or on top of your kitchen counter is a result of you not having a reliable place to store important papers that you know you’ll need in the immediate future. You know that once you remove that bill or invitation from the clutter pile it may be lost forever. You may think that at least if you leave it in the clutter pile you’ll just lose some time trying to find it again, right? But as I always say “Clutter is postponed decisions™” Plus there’s a better way! That’s what I hear often from my clients. While having a good filing system is very important, the filing cabinet is not the best place to put action items or things that you want to be reminded of in the future. A good system for handling these types of paper is a tickler file system. NEVER MISS AN IMPORTANT DEADLINE OR MISPLACE IMPORTANT PAPERS AGAIN! Introducing the SwiftFile Tickler System. It’s an easy way to be reminded of bills, birthdays, invitations, appointments and so much more while reducing paper clutter. Wondering what you needed to do today? The SwiftFile is the first place you can look to find those reminder notes, birthday cards, invitations and bills to pay. And as the mail forms a stack on your kitchen counter, you can sort it into the SwiftFile, from those pesky school permission slips to the insurance forms you don’t need to fill out until next week. 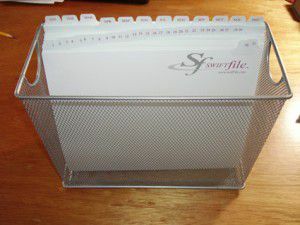 The SwiftFile tool is easily used by children and adults, the techies and technology challenged.  Going Almost Paperless™? The SwiftFile will help you sort your papers as you transition to paperless bills. WHY USE THE SWIFTFILE TICKLER SYSTEM OVER TRADITIONAL MANILA FOLDERS? TRADITIONAL MANILA FOLDERS CREATE TOO MANY LAYERS, BLOCKING YOUR VIEW OF THE FOLDER YOU WANT. Traditional manila folders create too many layers, blocking your view of the folder you want. 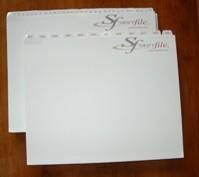 The SwiftFile’s 31 unique folders allow you to store pages for each day of the month. Twelve taller folders keep track of each month of the year. SwiftFile’s custom heights ensure that each day is always visible, making it easy to findwhat you need. Plus, the folders aren’t flimsy; they will handle your stacks of paper and are easy to grab on-the-go with your briefcase. By spending only a few minutes per day with SwiftFile’s simple system, you’ll be able to easily organize every piece of paper that require actions in the future. You can use it to remind you of both personal and business action items. No more beating yourself up for missing important deadlines and appointments. You’ll gain back valuable time that you’ve been losing searching through paper clutter for important items. You’ll be able to use the time gained on the things you really value and enjoy. Get all of the this for the low price of $57.00. Swiftfile has been lifechanging for me! I used to have a huge mess in my office but now everything is in my Swiftfile. I love that I can pick it up and move it from room to room as I work. If I have to go out of town for several days, I just grab those daily folders and bring them with me to work on while I am gone. No more missing deadlines, late fees and lost important papers. Swiftfile is worth every single penny! I’ve taught my children to put things in the SwiftFile that I need to sign, so that I know exactly where it is and on what day it’s needed,” said Sharon B. I also share it with my husband, so we know which bills we need to pay. I’m mostly paperless, so I don’t get much snail mail, but you can’t seem to get hospital bills electronically. After my surgery, I found the SwiftFile kept my papers organized in a way that made sense to me. Thank you so much for introducing me to SwiftFile. My husband really likes the system too! In the 7.5 years we have lived in our house, I have struggled with keeping the kitchen counter clutter free, especially the paper clutter. No more! Thank you, thank you for bringing it to your presentation. It is really helping us!